Hello, We are happy to announce our 5th Photoshop Brushes Pack. 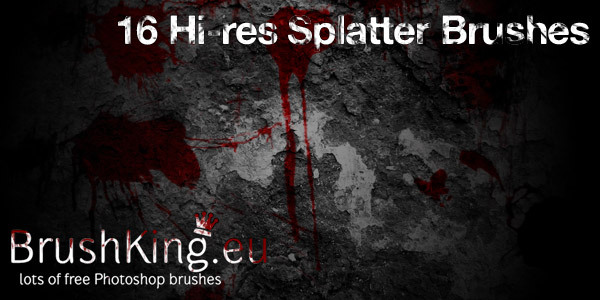 There is 16 High Resolution Splatter Brushes that I made with lots of unused white paint that I stock at home :). After that I create the brushes Under Photoshop CS4. This Brushes Pack is Compatible with Adobe Photoshop CS4 and is under a Creative Commons licence so please link back BrushKing.eu if you use them.